Despite the severe and urgent crisis facing our councils, the government continues to cut budgets. The local government settlement this week needs to respect the demands of parents, social workers and councillors of all parties, and put an end to the crisis in children’s services. Nowhere is the crisis in local government more serious than in children’s services, particularly in the care of vulnerable children. Since Labour were last in government, the number of looked after children has increased by 10.9%, and in the last ten years, the number of child protection enquiries has increased 158%. Whilst demand shows no sign of slowing down, local authorities are being forced to spend more of their budget to meet their legal obligations. In 2016–17, local authorities with social care responsibilities overspent their service budgets by over £1bn as a whole, largely attributable to a 10.4% overspend on children’s services. The Local Government Association estimates that by 2025, the funding gap will grow to £3bn for children’s social care alone. In the meantime, councils are forced to cut back other services to the bare minimum and an increasing number of local authorities with social care responsibilities are now drawing down their financial reserves. In 2016-17, 66.2% of councils were forced to draw down on reserves – this is clearly not financially sustainable. A recent report from the Public Accounts Committee warned that that more than one in ten local authorities with social care responsibilities will have completely exhausted their reserves within three years if they continue to use them at the current rate. In February this year, Tory-controlled Northamptonshire County Council, became the first council in almost two decades to issue a Section 114 – effectively declaring itself bankrupt after a decade of mismanagement and funding cuts. In a highly critical letter, watchdog Ofsted revealed that 267 children are currently without an allocated social worker after four months, while some child protection social workers reported being “overwhelmed” and “drowning” in caseloads of between 30 and 50 children. Ofsted’s letter said safeguarding services had “significantly declined” since the previous full inspection in 2016, highlighting a “lack of oversight and poor management” leading to “inconsistency” and “additional pressure on the service”. We are told that ministers are minded to appoint a commissioner shortly to intervene in the council’s operations to stabilise and improve child protection services. But poor leadership and in-fighting are only part of the problem, as Ofsted acknowledged. Lack of funding has seen the Northamptonshire cutting back all its services to a bare legal minimum in an attempt to balance the books. It’s also hard to see how the council will be able to turn around children’s services when it has already drained reserves in recent years, and is said to need to make £60m worth of cuts to balance its books before April to avoid breaking the law. Northampton’s leader, Matt Golby, has been quoted as saying that no children will be put in danger as a result of propose cuts, but it is difficult to see how this could be the case. Sadly, there is increasing concern that this scenario will soon be playing out in town halls across the country. In his recent budget, the Chancellor promised £650m for social care and said that £84m will be handed to 20 local authorities struggling with high or rising numbers of children in care. But the government is already backing down on this claim, with Jo Farrar, director general to the Ministry of Housing, Communities and Local Government, telling the public accounts committee this week that they do not expect these funds to buy additional capacity. Instead, they’ll be used to stop councils diverting money from other services to meet the rising demand. Once again, the government has offered sticking plasters, not long-term solutions. The British Association of Social Workers criticised the Budget as “another missed opportunity” to tackle the “crisis in children’s services”, while Action for Children said “we are fooling ourselves” if we think this extra cash will “make a difference to the lives of our most vulnerable children”. The real test will come this Thursday in the local government finance settlement – but few are holding out much hope that any dent will be made into the mind-boggling multi-billion pound funding gap. 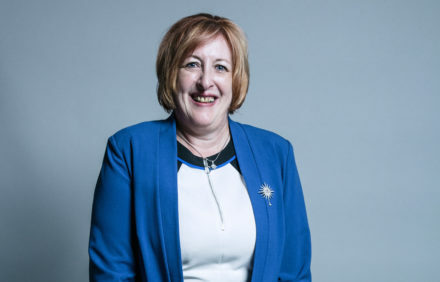 Yvonne Fovargue is MP for Makerfield and shadow housing, communities and local government minister.